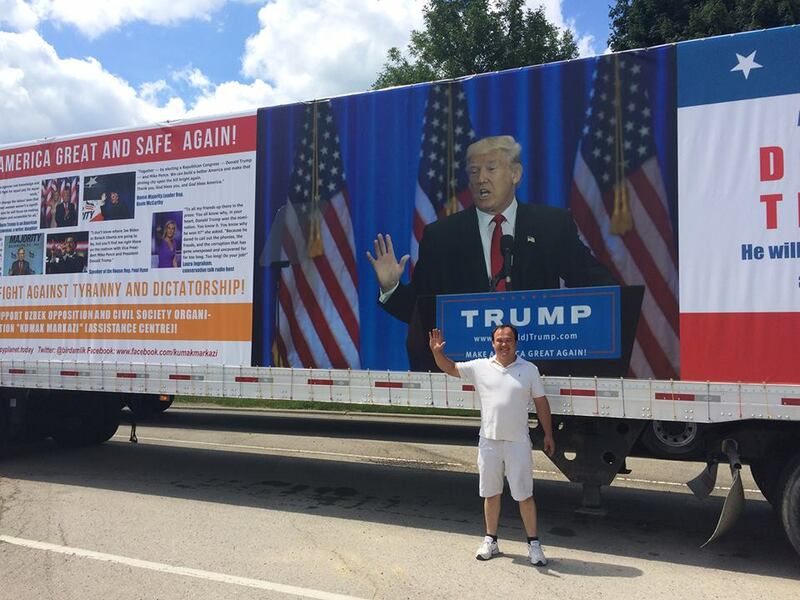 Bokhodir Choriyev today making Rally on 18 wheels from St. Louis, Mo to Washington Dc. His main message is the next. America needs Donald Trump! He will make America great and safe again! The Rally will be on 08/08/2016 at Washington Dc at 10-00 am close to State Department of US.